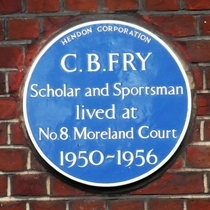 C. B. Fry, scholar and sportsman, lived at No 8 Moreland Court 1950 - 1956. 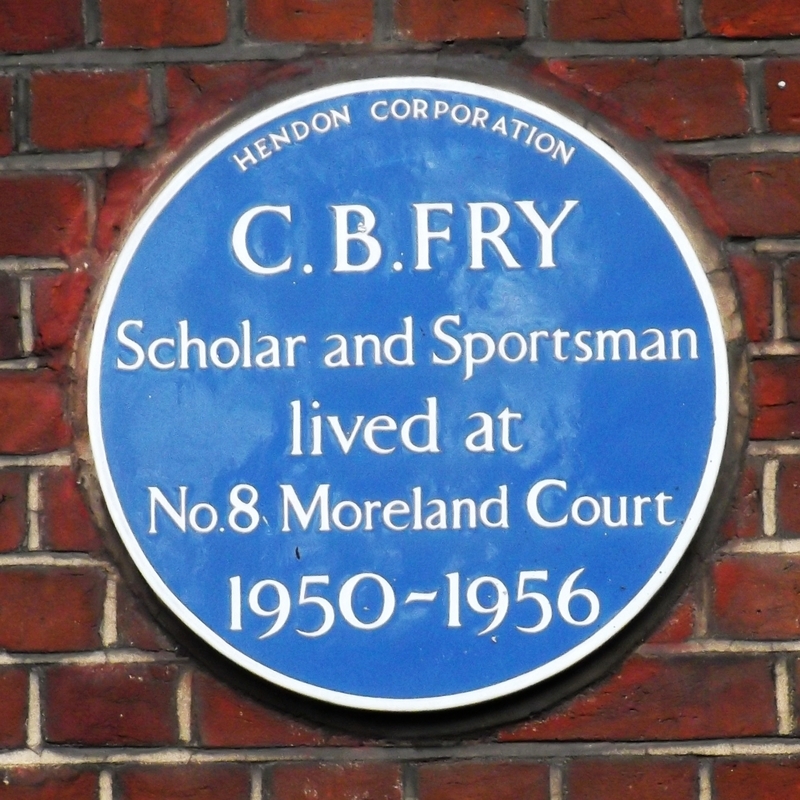 The Borough of Hendon was incorporate into Barnet in 1965. English Heritage Louis MacNeice, 1907 - 1963, poet, lived here, 1947 - 1952. The names are of three of the founding members of the Amwell Society.